Allegations are flying thick and fast, from harassment, pressure on employees to sell their stocks in the firm, to not one but two extortion calls. The plot at One97 Communications, in which three employees were arrested on Monday for allegedly trying to extort founder and Chief Executive Officer Vijay Shekhar Sharma, seems to be getting thicker by the minute. But, even 24 hours after the arrest, no one beside Sharma and his core team seems to have any idea what was the nature of the stolen data, which the alleged blackmailers had used as leverage. Sharma’s brother, Ajay Shekhar, also part of the company, said in an interview to a website that the stolen data included the Paytm founder’s personal photographs and financial statements. 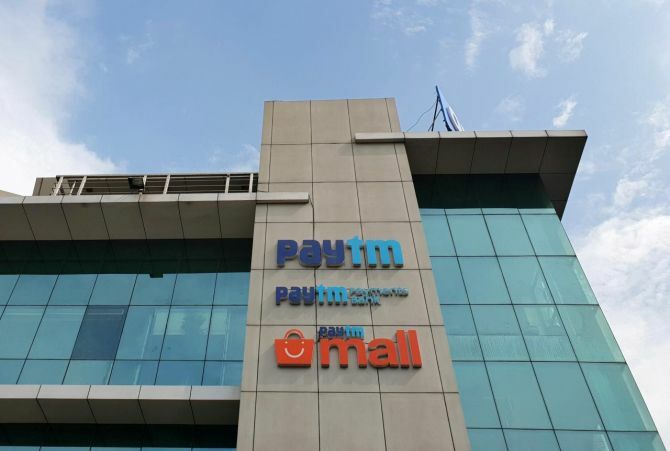 On Tuesday, Noida District Court denied bail to the three main accused, Sonia Dhawan, Sharma’s personal secretary as well as Paytm’s vice-president of corporate communications; her husband Rupak Jain; and Devendra Kumar. They were sent to Kasana Jail in Noida. Paytm did not comment on a detailed questionnaire sent to them. It all started with a search for Sharma’s missing iPhone he lost before a trip to the US in 2016. It is not clear if the stolen data went missing from that phone or another one he got from one of his aides. “A month back, Sharma started getting extortion calls. The caller claimed he had mails as well as photographs of a highly personal nature that would compromise Sharma and his company. "Sharma confided in Dhawan. She volunteered to help track the phone as well as the data, and set up a team to locate it,” said a source close to Dhawan. Besides her, the team that handles Sharma’s personal expenses and bills might have had access to the phone. A few weeks back, suspicion fell on Dhawan. “She was only trying to help,” said a source. Jain’s lawyers in court said he had got an extortion call on September 22. The caller threatened to harm Jain’s family if Dhawan did not mend her ways. A demand for Rs 5 crore was made. “The extortionist claimed his son would be harmed if they did not cough up the money. A complaint was also submitted to the police,” said his lawyer in court. Dhawan’s lawyers said she was being forced to sell her stock in the company that she had accumulated over the years. Some people close to Sharma were apparently trying to eject her from the company. She has been working with One97 Communication for almost a decade and had accumulated over 17,000 shares. The value of this was Rs 30 crore. Her lawyers claimed with the valuation of the firm touching almost $12-16 billion the company was forcing her to go for a buyback that she did not want to. Paytm founder Vijay Shekhar Sharma is facing a new data challenge — some people have threatened to leak his personal data, compromising the reputation of his company One97 Communications. Three of the mobile wallet’s employees, including Chief Executive Officer (CEO) Sharma’s secretary, were arrested on Monday by the Noida police for allegedly trying to extort Rs 200 million by threatening to leak his personal data. Sources said the alleged blackmailers threatened to ruin Sharma’s public image. Sharma’s personal secretary (whose name was not revealed by the police), her husband and property dealer Rupak Jain, and Devendra Kumar, a manager in Paytm’s administration department, have been arrested. A fourth person based out of Kolkata, whose name was also not revealed, is absconding, police said. This is a critical time for Paytm, which is still getting money from the last round of funding of about $340 million from Warren Buffett-owned Berkshire Hathaway. A leak of Sharma’s personal data leading to a scandal would have cast its shadow on this deal, as well as embarrassed major investors such as Alibaba and SoftBank. Police said they were unsure what the alleged blackmailers were threatening to leak - Sharma’s personal data or something about his company, which has the data of 350 million users. “The owner of Paytm lodged a complaint with the police that some employees, a woman and her aides, had stolen some data from the company and were blackmailing him. They were demanding Rs 200 million for not leaking it,” said Ajay Pal Sharma, senior superintendent of police, Gautam Budh Nagar. Paytm was in the news recently because of allegedly sharing user data with the government. Sources in Noida police said Sharma contacted the security forces a week back and complained about extortion calls. “He suspected his personal secretary of being the one behind the extortion bid. We are still analysing the data to understand how it would have been damaging to Sharma as well as his firm. We are also checking if the data was duplicated and there are copies,” said a senior police officer. Police said the person from Kolkata - most likely an accomplice of Kumar - called Sharma and asked for the money. The Paytm founder wired Rs 200,000 to the extortionist on October 15. “After getting Rs 200,000, the extortionist called again and even revealed he was from Kolkata. We put the call under technical surveillance and found that Sharma’s personal secretary as well as her husband and Kumar were all linked to this caller,” added the officer. Police said Sharma’s personal secretary has access to his laptop and mobile phones, and might have stolen the data from there. The trio is in police custody. Sharma was not available for comments. Paytm, however, said it would support its employees. “Noida police has arrested three people, including a female employee of Paytm, in an extortion case. We are standing by our colleagues till the police inquiry reaches its conclusion,” the company said in a statement.